Insulation of rental properties to reduce your exposure to potential lawsuits. Our Fort Lauderdale estate planning attorneys provide the knowledge and experience found in large law firms, while giving our clients the hands-on service and attention to detail that only a smaller firm can truly offer. Whether our client’s estate planning requires a will and probate administration or a complex trust structure for maximum asset protection, our lawyers regularly go beyond the customary services, tailoring their work to the specific needs of each client. Furthermore, our firm also offers attorneys who specialize in elder law and probate administration, assuring that all potential issues will be expertly handled. Our attorneys are well versed in a wide variety of legal practice areas, which allows us to provide our clients with one-stop shopping for all of their estate planning and asset protection needs. Rather than having to seek various individual counsels for elder law issues or probate or will creation, and having the headache of managing your own legal issues and costs, we provide the convenience of one South Florida location for all of your legal needs. With our diverse expertise and commitment to your personal needs, you will receive the quality work product of a large law firm and the low cost and high attention to detail that small law firms are valued for. 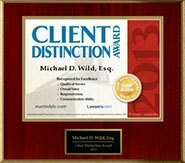 Our South Florida Lawyers Specialize in Wills, Trusts & Probate Issues. At Wild Felice & Partners, we take customer service very seriously. It is our goal to constantly exceed our clients’ estate planning and asset protection expectations and respond proactively to any legal issues they may encounter. We pride ourselves on working together with our clients, taking the time to set and achieve the desired outcome, rather than merely categorizing our clients under a particular label and treating each legal issue in a predisposed way. We realize that each person’s needs are unique and treat each of our clients as if they are our only client. We believe creating a personal relationship with each of our clients is fundamental to delivering the best legal services. We hope you will take the time to contact one of our attorneys and truly experience all of the benefits that our South Florida law firm has to offer. South Florida is one of the most litigious locations in the United States, making the presence of a comprehensive asset protection plan a necessity, not just an option. Whether you have a small nest egg that you count on to pay your bills and are saving for an eventual retirement, or you have a large amount of assets of varying types, there is always the threat that someone will try to take it from you. By using a combination of Trusts, LLCs, Partnerships and other asset protection vehicles, you can assure that your assets are protected from those trying to take them from you. Probate is simply the process of transferring assets from a deceased person to that person’s living beneficiaries. Without any Will, Trust or other estate planning tool, the state of Florida will decide who those beneficiaries will be through the Florida Intestate Statutes. By utilizing a Last Will and Testament, you are able to decide which beneficiaries you wish to inherit from your estate but only after the assets have been drained by the probate process. Probate usually takes between 6 and 18 months and costs between seven and ten percent of the overall estate assets, when taking into account the amount of money needed to satisfy the Court costs, attorneys’ fees, publication costs and creditor claims. 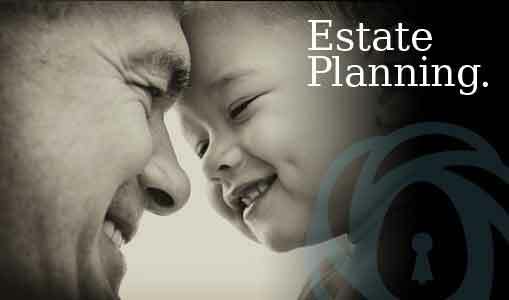 Avoiding probate by using the proper estate planning tools is ideal but for those families who lost loved ones before they were able to set up such plans, it is crucial that they hire an experienced probate attorney to limit the costs, fight the creditor claims and guide the family of the deceased through the perils of the probate process. Most people have a misconception of estate planning. Many people don’t think they have the assets to require it. Others think they are too young to worry about it. Estate planning is not contingent on wealth or age. 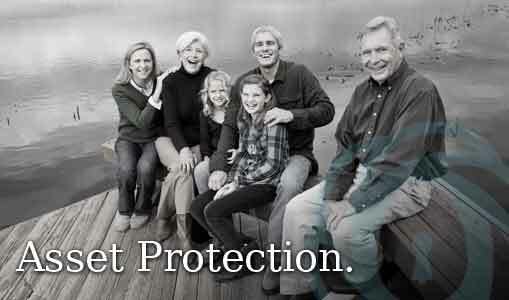 Estate planning is all about those loved ones that we leave behind. A 90 year old with $9 billion and no family, friends or charitable intent is less concerned with what happens to his money than a 40 year old with two young children, a home and a small nest egg. Comprehensive estate planning allows you to choose who raises your children, who manages your affairs and how and when your beneficiaries receive your assets. You can avoid probate, give asset protection to beneficiaries and control assets long after you are gone by using a Revocable Trust. You can reduce or eliminate estate taxes with advanced planning. You can also decide who makes financial and medical decisions for you when you are unable to make them for yourself with a Durable Power of Attorney, a Designation of Health Care Surrogate and a Living Will. If you are alive and have loved ones that you care about, you need to set up a comprehensive estate plan before it is too late. Elder law covers a wide array of issues that affect the senior community. In South Florida there are large numbers of people who are 65 years or older. Elder law encompasses issues such as Social Security, Medicare, Medicaid, wills and trusts, probate issues and cases of elder abuse by caretakers. The senior population is increasing throughout the United States, as baby boomers are reaching retirement age and younger people are opting to have less children, particularly in South Florida given the fact that many retirees move here in search of warm weather and a place to spend their post-retirement years. Many of these people invest their hard-earned money in South Florida and for this reason, a need for attorneys that specialize in elder law is also growing at a rapid rate as senior citizens are looking for guidance to protect their investments, and to ensure that their last years are lived with dignity. It is important to hire an attorney that will tailor his or her services to the specific needs of each client to ensure that their future and integrity are protected. WFP Law can help with the issues that generally affect the senior population as this is one of our areas of expertise. Wild Felice & Partners, PA – Attorneys at Law. Call today (954) 944-2855 for help with the protection of your assets, creating estate plans, probate administration and the application of elder law.